Loopy Holiday Punch is one of the easiest things you can make for a holiday party. It’s just pouring three ingredients into a bowl, sticking the bowl in the fridge, and then if you’re feeling fancy, adding some fruit at the last minute. Three Olives Loopy Vodka has a tropical fruit taste which combines wonderfully with the bubbles and taste of champagne and ginger ale. Combine the ingredients in your serving bowl or pitcher and chill for a couple of hours. 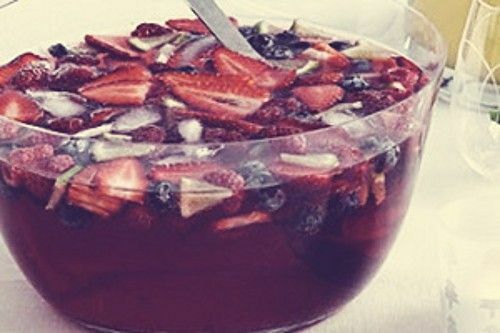 Optional: add berries or fruit into it just before serving.